The Brazilian National Research and Educational Network (Rede Nacional de Ensino e Pesquisa - RNP) provides global integration and collaboration supported by information and communication technologies, for the generation of knowledge and excellence of education and research. 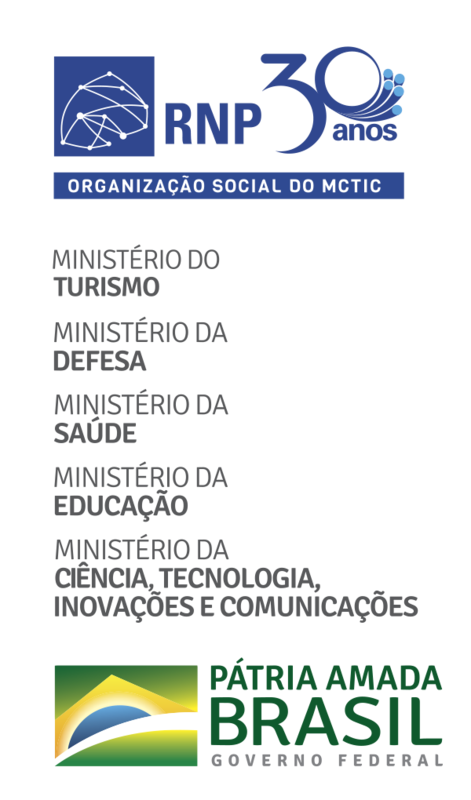 Since 2002, it has been a Social Organization (OS) bonded to the Ministry of Science, Technology, Innovations and Communications (MCTIC) and maintained thereby together with the Ministries of Education (MEC), Culture (MinC), Health (MS) and Defense (MD). A pioneer in 1992 as a nation-wide network of Internet access in Brazil, RNP’s main duty is to promote technological development and support research on information and communication technologies, by creating innovative services and projects and training professionals. For such, it provides the public institutions of research and higher and technology education advanced network infrastructure that facilitates collaborative research in several areas of knowledge. Through applications of its network, RNP allows the execution of projects and the implementation of public policies in the areas of technology, education, health, culture and defense. A knowledge and articulation institution intended to render feasible and manage innovative solutions of public interest, using the information and communication technologies (ICT) in advanced education and research networks. To promote the innovative use of advanced networks. To be recognized for providing global integration and collaboration, supported by the ICT, to improve the quality of education and research.